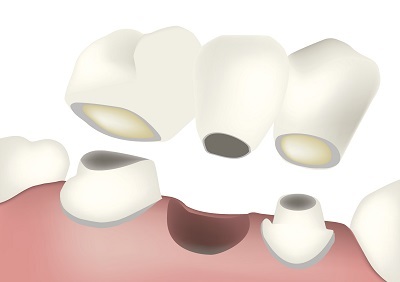 What is dental bonding? In short, it's when one of our dentists applies a tooth colored resin material to the teeth. This is great for repairing teeth which have been damaged, chipped or cracked or for filling in spaces in between the teeth. It's also great as a cosmetic procedure, as it greatly improves the appearance of your teeth. The technology has changed and improved since it was first introduced to dentistry in 1955. While it's more durable than it used to be, the resin can stain and chip just like your natural teeth. So what can you do to keep your smile looking amazing longer? Let's look at some ways you can avoid staining your dental bonding. One of the major advantages of dental bonding is that it's among the easiest and least expensive ways to cosmetically improve your smile. Dental bonding can usually be done in a single office visit! While it's true that the material we use for dental bonding is stain resistant, it's not stain proof. You can do your part to assure that your smile will last by practicing good dental hygiene habits. Brush your teeth at least twice a day to cut down on tartar build up and keep them shining. Don't forget to floss! Getting in between the teeth will keep the stains from starting in the cracks and spreading. Did you know that some of the things we do every day stain our teeth? Drinking excessive amounts of coffee, soda and tea will begin to stain your teeth over time. If you do drink coffee in the mornings, try having a cup and then brushing your teeth right away. Call or drop in today and ask our amazing staff how we can help you maintain your newly whitened smile! We're always happy to see you and work with you as you show off those pearly whites!